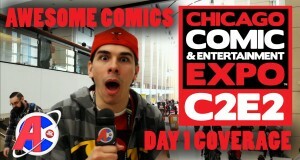 Bryan interviews Scott Snyder and Greg Capullo at C2E2. 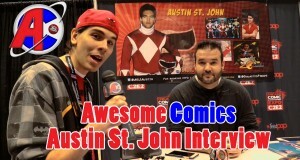 Walter aka 'The New Guy' interviews Austin St. John at C2E2. The group checks out Chloe Bennet’s panel, some cosplayer interviews, Heather joins the group and Doug is kinda interview. The final day at C2E2 2016 is covered. 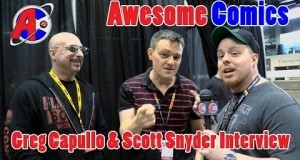 Bryan interviews Scott Snyder and Greg Capullo. 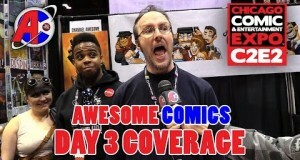 Aiyanna attends the Supergirl panel, and more cosplay and c2e2 stuff. Walter interviews some former Power Rangers (Austin St. John and Karen Ashley) while Bryan checks out the DC Faces of Villainy panel. 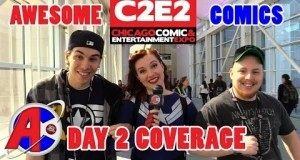 More C2E2 coverage tomorrow! Channel Awesome would like to announce that Andrew Dickman, Kyle Kallgren (Oancitizen), Allison Pregler (Obscurus Lupa) and Phelan Porteus (Phelous) have parted ways with us. 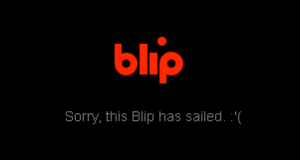 We wish them the best.